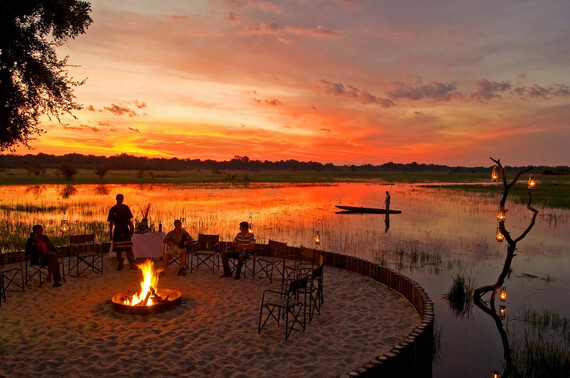 If there’s one African country that stands out as eco-friendly, it’s Botswana. 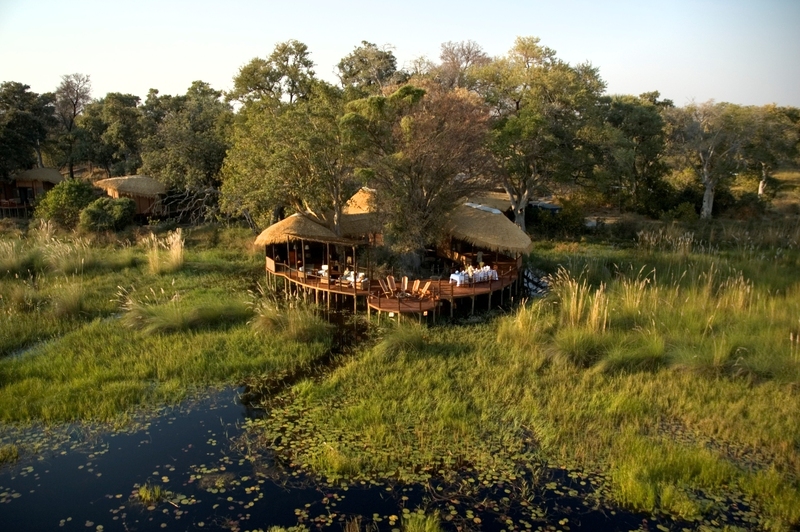 Hunting has been temporarily banned throughout the country, there are no fences, with wildlife free to roam at will, and the lodges of Botswana are all designed to have as little impact on the environment as possible. For these reasons, it’s one of our favourite safari destinations, and these are some of our top eco-lodges. We love Botswana and the Delta is a once-in-a-lifetime experience. Besides the ones listed here, we also love Stanley’s for the Elephant experience as well as the fabulous Kanana, for the most peaceful ‘mokoro’ excursions. 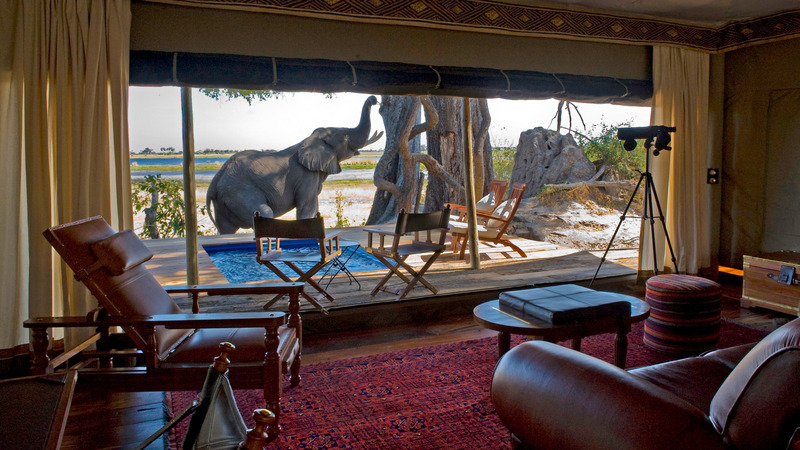 On the barren Makgadikgadi Pans, Jack’s Camp is a wonderful eco-lodge, involved in the long-term removal of damaging cattle and goats from the Kalahari, an extremely delicate environment. 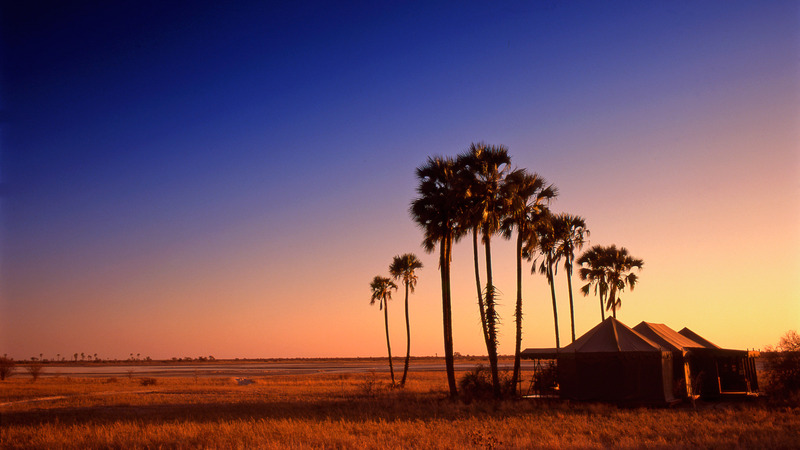 The camp also creates employment opportunities for locals, and operates as a research base for animals like brown hyenas and meerkats, alongside subjects like climate change and the study of the paleontological value of the Makgadikgadi Pans. Walking with the local bush men, the San trackers, is a fabulous experience offered by Jack’s and its sister eco-camp San Camp, which is run almost entirely on solar energy. Chief’s Camp is designed so that the entire camp could be packed up without leaving a trace. The rubbish is taken out of the park for responsible destruction, and they have filtered water and recyclable water bottles. At Baines’ Camp, the main building is made from commercially-grown wood and recycled tin cans that the camp pays the local community to collect. 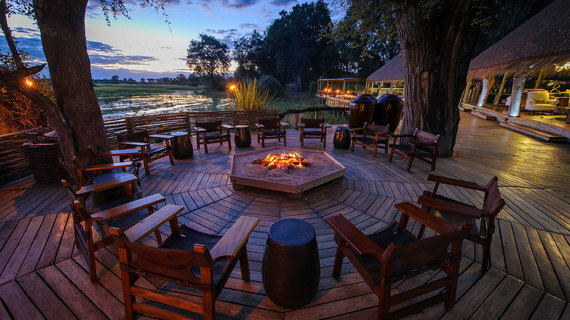 One of the most highly commended eco-camps in Africa, Mombo Camp uses 100 percent solar energy, is built with natural materials, and the camp provides local community support, too. It’s far from inexpensive, but every dollar spent visiting Mombo is well worth it.